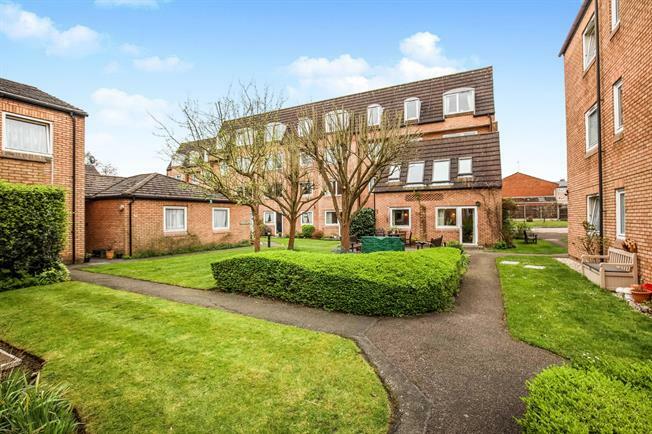 1 Bedroom Flat For Sale in Woking for Guide Price £119,950. The Homebeech apartments offer comfort and security, as well as a warm community atmosphere. The development offers comfortable guest accommodation, a laundry room and lively communal areas. The kitchen in this apartment is in great condition, and includes the white goods including a fridge freezer and a double electric cooker with a modern hob. The bathroom has also been renovated and features a larger than average shower for ease of use and convenience. The bedroom boasts a built in wardrobe, the property offers attractive far reaching views from the windows and the it is efficient and warm. Offered to the market chain free and located so perfectly for all the local Woking amenities, we expect it to be popular so call now to view.